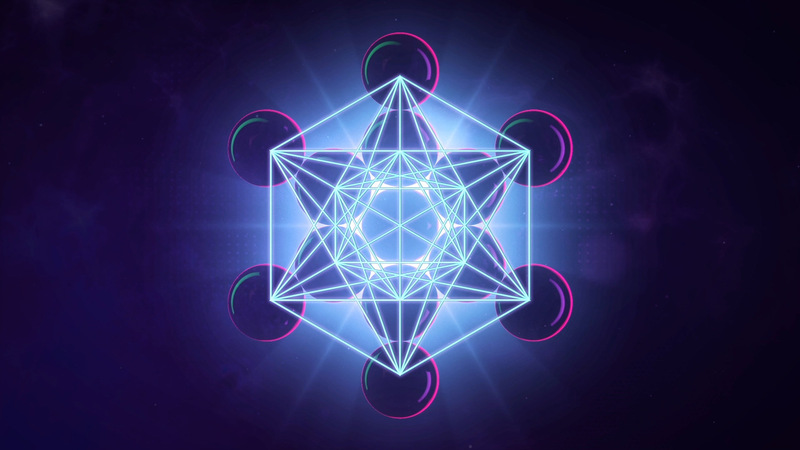 Sacred Geometry is not only a valuable tool for activating deep inner experience, it is a language expressing the interconnectedness of reality. The same patterns of order continually occur at various levels of existence. For example, a simple everyday daisy displays beautiful five-fold geometry. Similarly, this very same pattern forms human DNA and even maps the orbit of Venus around our Earth. When you meditate upon Sacred Geometric shapes and create Mandalas, you interact with this language. This process illuminates the patterns of the creative principle herself. These higher orders can be revealed through the shapes, invoking a deep experience of their transformative power. Combining Mandalas with Holotropic Breathwork in the same workshop is a special kind of sacred marriage. The breath takes you inside of yourself, and connects you with your own personal higher ordering principle. This inner healing wisdom is imbued with similar qualities inherent in Sacred Geometry. They both express the archetype of wholeness. An article by Geoff on the benefits and beauty of mandala work can be found here: Exploring inside on the outside – my journey with Mandalas. Geoff Fitzpatrick B.A. has studied psychology in Trinity College Dublin, and is a Graduate of the Milltown Institute of Theology where he studied spiritual enrichment. He has an active interest in modern consciousness research. He has been constructing mandalas for 10 years and is driven to promote the transformative potential of these sacred circles. “I have two great passions, one is the exploration of consciousness the other is the construction of mandalas. In effect these are two sides of the same coin. The first time I saw a mandala was about 25 years ago. A group of Tibetan Monks came to Trinity College Dublin. They spent a week creating a magnificent Kalachakra sand mandala. I was mesmerised by the experience, the colours, the shapes and the sound of the chak purs are as vivid in my memory today as they were all that time ago. It was eight years later in that very same university whilst studying psychology I came across mandalas for a second time. I studied the work of Carl Jung and Stanislav Grof both of whom saw the mandala as a powerful psychotherapeutic tool. The depths of the psyche that I touch when constructing mandalas are similar in tonality to those from breathwork. I have borrowed heavily from the map of consciousness drafted by Stan Grof to navigate my way through the experiences activated whilst constructing mandalas.